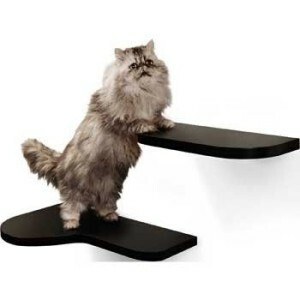 Cat shelves and perches are important when you have felines. They need vertical territory. Vertical territory an umbrella term that describes the cat’s need for high places to climb and jump to. 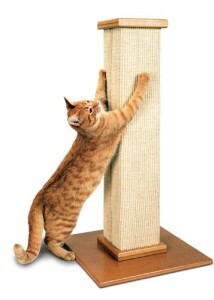 Vertical territory has several functions for our feline friends. It makes the kitty feel entertained, safe and secure. Not all animals are such climbers like cats are. From up high up they can keep an eye on their world, scout for food and keep a close eye on other pets or resident animals, who might pose a threat to the kitten. Couple of points you need to keep in mind. Wall mounted cat furniture has to be stable. Don´t let it wobble or your pet could fall off! But if it does wobble, usually it´s an easy diy fix. 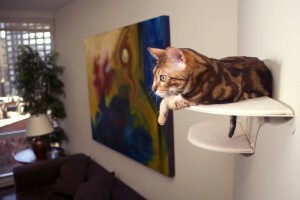 Modern cat furniture can look cool and sleek, but make sure the surface is suitable for felines. Some shelves or perches have a slick wooden or varnished surface. While it might look nice, cats can easily slip and fall off. Also, they might find hard surfaces not ideal for napping purposes. 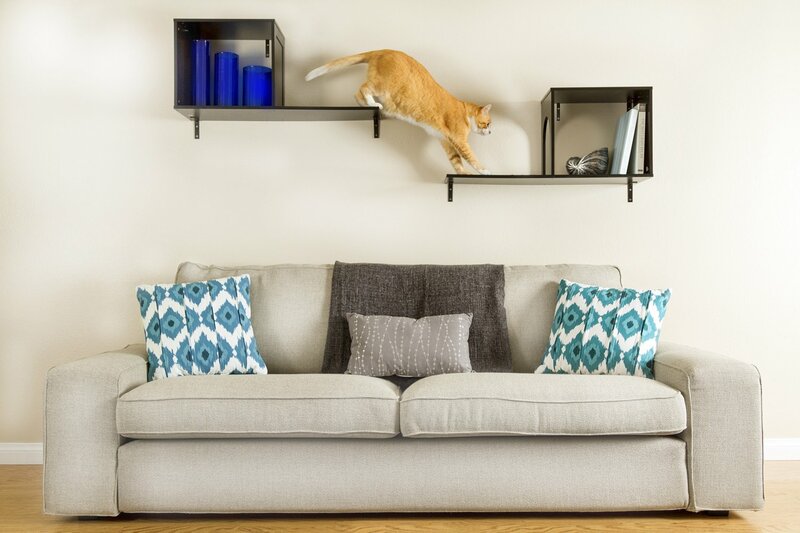 If you do have a slick surface, make them suitable by installing sisal, carpet or other material to your cat shelf. Because felines can be very playful (or run through the house like proper maniacs) it´s important that your shelves are sturdy enough to support this kind of behavior. Also, the shelves need to be strong enough to support multiple cats, which brings us to point four. Make sure the shelves or perches are large enough to support 1 or 2 cats. Kittycats like to have their space. They like to be able to lounge about and stretch themselves. Especially when it’s cold, cats like to share of shelf with another feline friend. This way they can keep warm by snuggling each other. 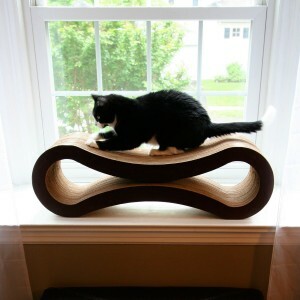 If your pet is very young, old, has special needs or simply is just not as agile as he/she once was, he/she might find it difficult to reach and navigate through hard-to-reach cat furniture. Make sure your kitties can access the shelves easily. Lower shelves make sure the special kittens can safely climb the higher shelves/perches. Install enough shelves for the cats so they can easily climb around. Stairs or a strategically placed chair can do wonders too. 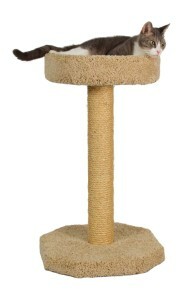 Don’t skimp on vertical territory for your kitties. Definitely not less is more; the more the better! 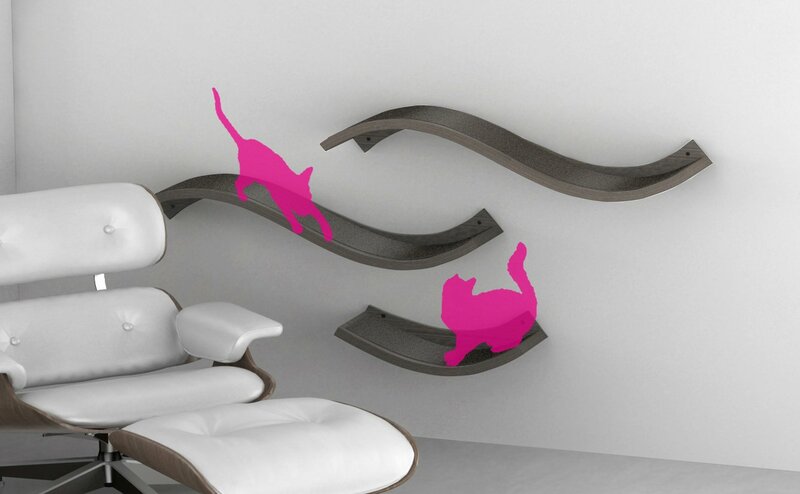 These modern floating cat shelves are made for climbing, and can hold up to 70 lbs. They are made from strong metal, with comfortable pads to lie on and provide grip. If the pads get worn out, you can replace them easily. The pads are connected to the shelf with magnets. These cat shelves come in a few different colours: black, white, off white, titanium. Check on amazon for more pictures. Another modern looking shelf, these babies come in a large (top) and a small (bottom) version. They fit very well in small spaces, and have a nice sleek look. The Wave mounts to the wall, and mounting hardware is included. 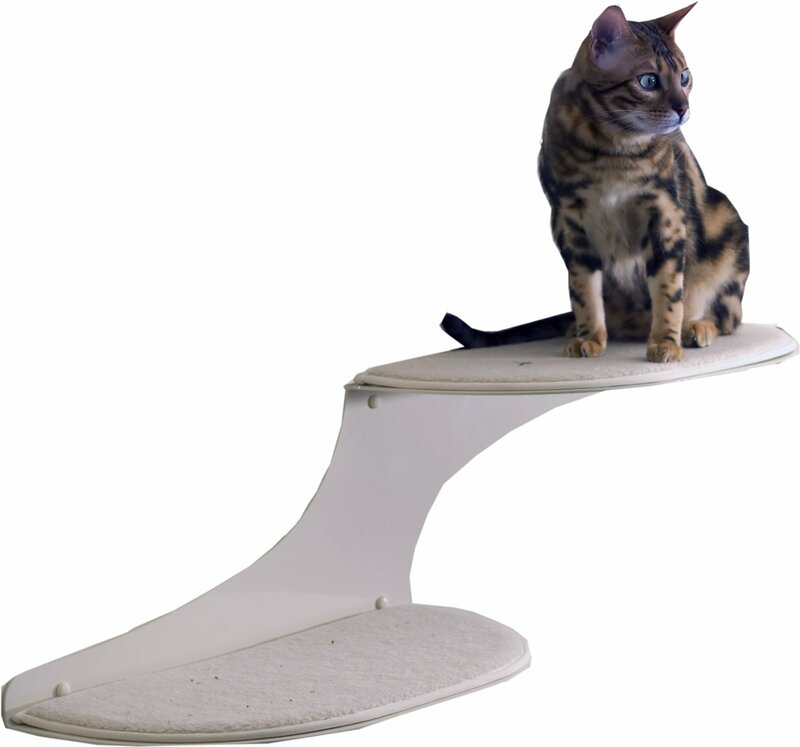 The Wave provides your feline with a comfy lookout and climbing options. These are definitely cheaper shelves. Starting at 14.99$ last time we checked, but check on amazon for recent pricing. You might want to install some carpet for grip, or a more comfortable lounge place. If you’re looking for a cheap solution, and don’t mind doing some DIY, these are the way to go. Woodwork? Leave it to the amish. If you can raise a barn, how hard could it be to raise a cat. These real sturdy, heavy wooden cat shelves are made from furniture quality dark cherry maple wood. They have carpet on top, This set includes two rectangular shleves, and one corner piece. Built to endure up to 50 lbs (~22.5kg). Mounting hardware & screws are included. Thanks for reading. If you have any comments or questions, please let us know!